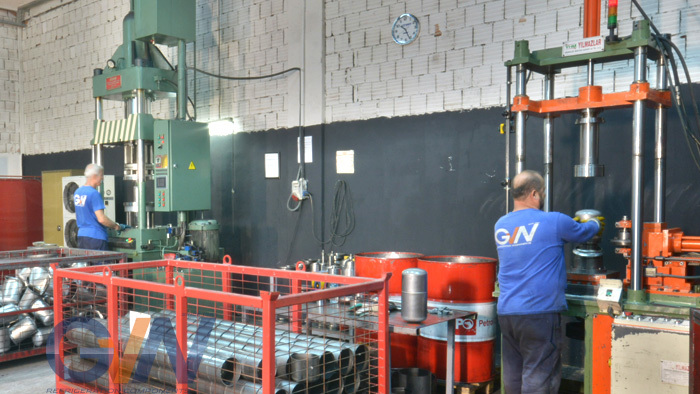 Production of GVN was started in 1985 on a area of 35m² and today the company is carrying out its production on an area of 6000m². One of the main key factors that ensure company’s growth with fast and solid steps is its quality and quality consistency. Company is aware of the importance of quality and set it as priority. Company is aware of the importance of quality and set it as priority. 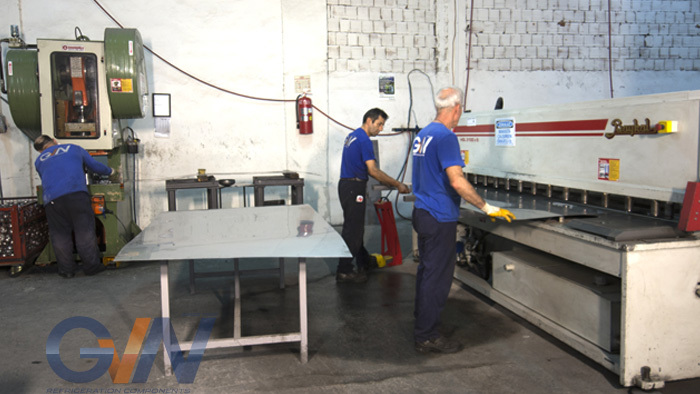 It organizes all operation process and schedule based on healthy and trustworthy serial production. 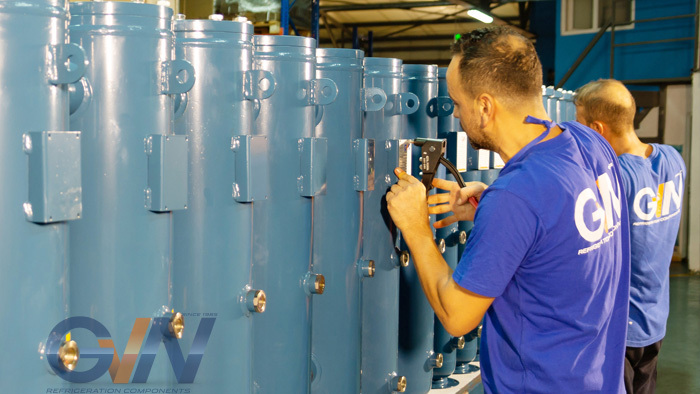 Each stage of the production is managed according to ISO9001:2015 quality management system. 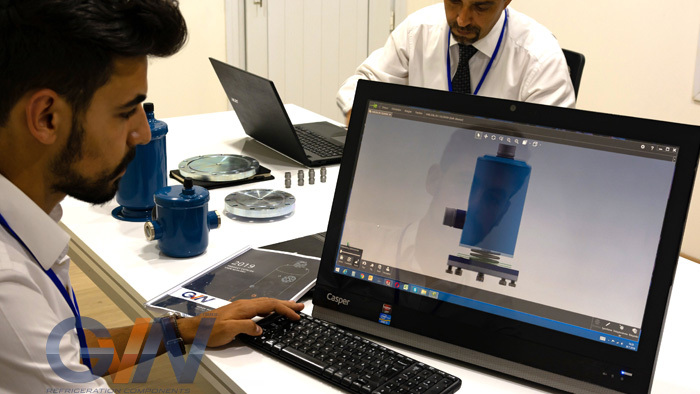 Experienced technicians and engineers organize all standard and custom production process by preparing 3D drawings and transfering these drawings to automatic robot, plasma and CNC machines to start production. 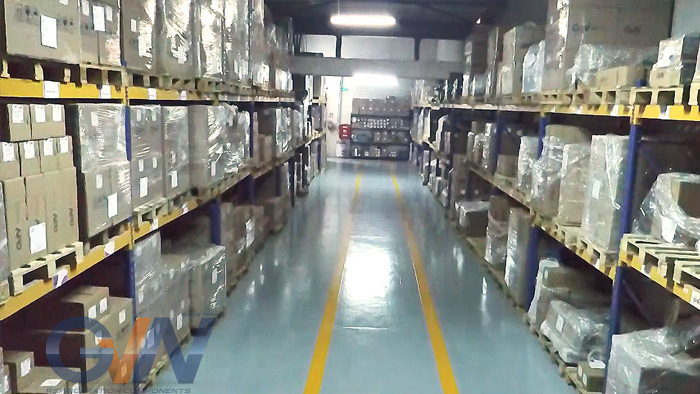 Raw material input control which is fulfilled in accordance with quality control procces. 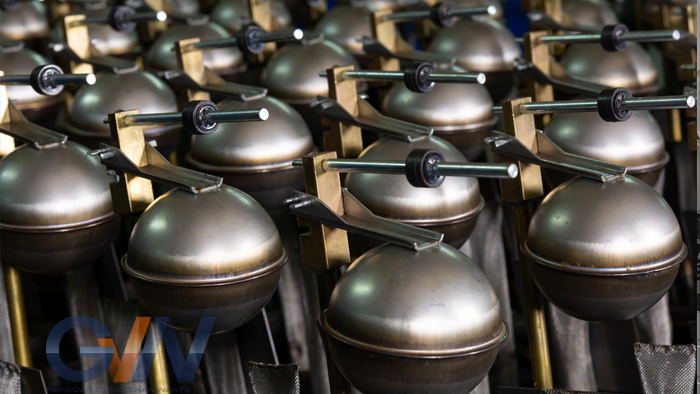 The serial production of some products such as deep drawns, caps, foot connections and float balls are carried out by double deep drawing presses, eccentric presses, circle cutting, hydraulic guillotine shear, skirt cut & joggle-joint form machine and suitable mold systems in pressing section. Flange, ODS, NPT and all these kind connection devices are proccessed by CNC turning lathe with minimum tolerance. 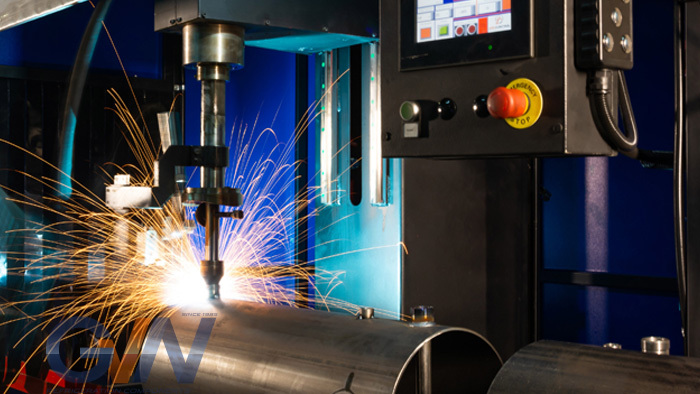 Pipe/plate cutting and driling procedures are carried out by CNC plasma cutting system with great care and rapidity. 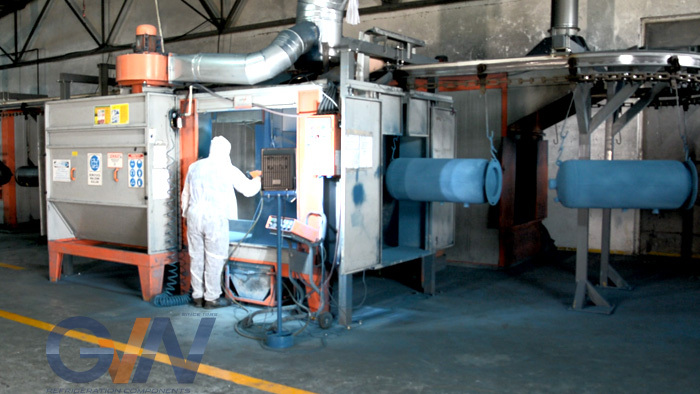 After pipe cutting/drilling process, all internal pipe cleaning is proccessed by rotary CNC surface cleaning system. 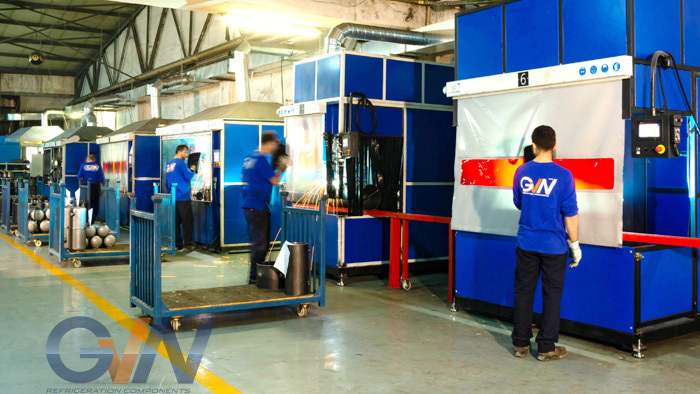 %95 of welding operation are carried out by high technology CNC robot welding and automation welding systems and this leads to continuous serial and standard production. 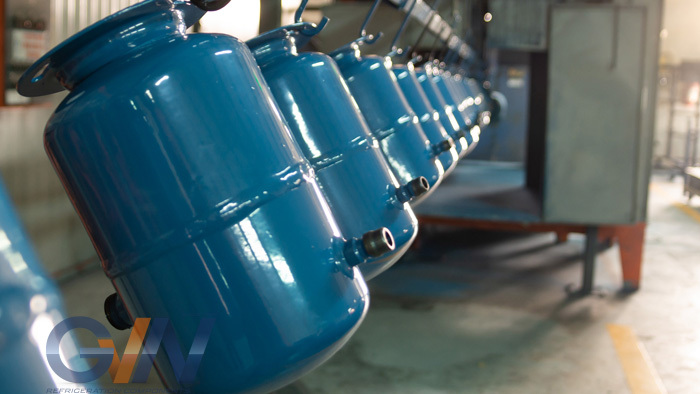 All products are passed %100 leak test by screw compressor systems. There is high technology computer system for leak test of Co2 transcriticaland subcritical products. Paints are fulfilled by rail electrostatic painting system after phosphate cleaning. 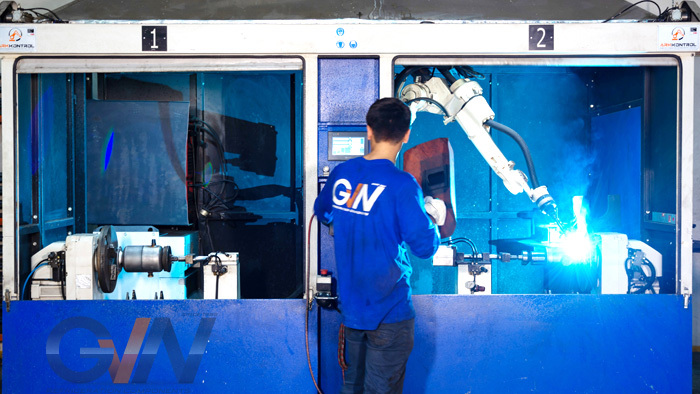 %95 of GVN’s production is carried out its own facilities by its expert team as required by production and product certification. 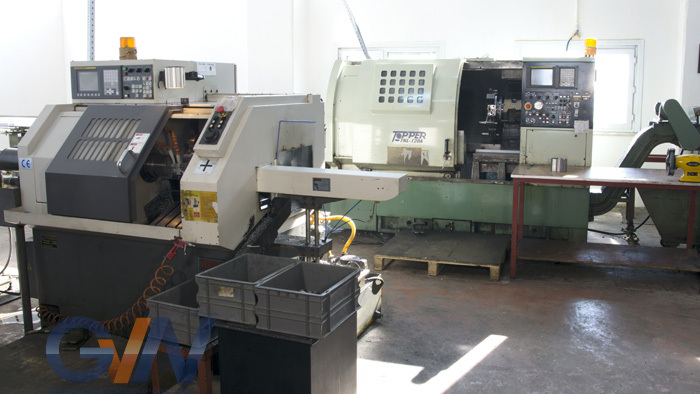 The company is increasing investment in machines and technical materials in order to use technology better and more effectively.